1. The design picture(s) with no grid. 2. Large-grid PDF* chart of the design in colorblocks and symbols (for 14 count canvas). 3. Large-grid PDF* chart of the design in symbols with all info needed (for 14 count canvas). 4. 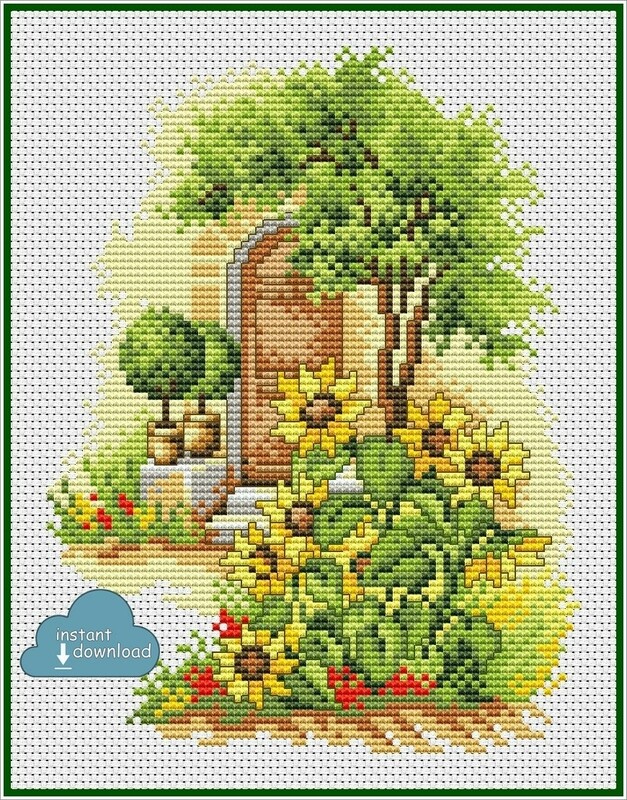 XSD** file for Cross Stitch Saga Needlepoint app, Crossty app, Pattern Maker. 5. Size info for 14 count canvas. 6. Floss usage info (20% extra per color is calculated already). COPYRIGHT: You are welcome to use the chart for personal creations. You may not resell it as a digital item or digitally delivered item. Here you can find items adding style and comfort to your home – ready to use ones and those you need for your DIY projects in decoupage or cross stitching. We started our Comfort_Your_Life ETSY shop 2,5 years ago (Comfort_Your_Life on ETSY) and now we decided it is time we opened our personal store to have even more chances to offer our customers various good-quality items and services from reliable suppliers only. Every physical item presented in our store is always ready to be processed and shipped as fast as possible. Our default shipping method is priority registered air-mail, and we always follow every delivery process step using online tracking services. Every cross stitch pattern in our store is checked and cross-checked several times and then they are edited to fit our Perfect Cross Stitch Pattern standard (you can find more details HERE).